Yesterday a package arrived on my doorstep. Not just a package, but a big one, and I had not ordered anything that big to be delivered. Lo and behold, said package had my name on it and the sticker said it was from Pete Graner, who is my colleague at Canonical leading the kernel team. As many of you will know, he is one half of the Open Source Posh and Becks that is him and his awesome wife, Amber Graner. 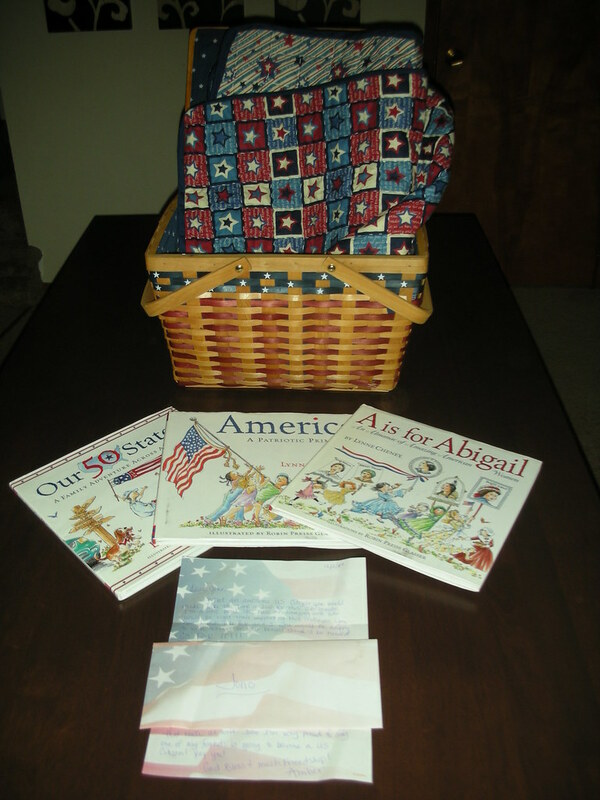 The box contains a quilt that Amber made with three books chronicling parts of the history of the United States. Laid on the top of the box was an awesome envelope with stars and stripes (even the envelope kept in with the theme) with my name written on it. Inside was a beautifully written letter saying some rather nice things about how I should apply for US Citizenship when I can, and how the things inside the box should help with this. Wow. I’m from the U.S. and even though I’d probably never do such a thing (is there a U.S. citizenship backstory here? ), I have to say that’s pretty darn nice of them. Quilts are not easy to make! Why do you want to become an American citizen (just curious, I do not think it is bad or anything)? Jono didn’t actually say that he did (although he might). Amber and Pete Graner want him to, presumably because he’s such an awesome person. What country wouldn’t want him as a citizen? And he’s been living in the USA for a while now. Interesting that they chose books by the wife of one of the most hated and reviled of American leaders in the recent past. that was the first thing i noticed when i saw the pictures! i’m from the US, and i’m hate cheney too. however, they probably didn’t intentionally buy the lynne cheney books. or maybe they did. but that’s their decision. lynne cheney’s probably not that evil, even if she’s married to the face of evil. Picnic basket! A hamper is what you put your laundry in! Jono – if you read those three children’s books, you’ll most likely know more about America than %90 of Americans know about America.